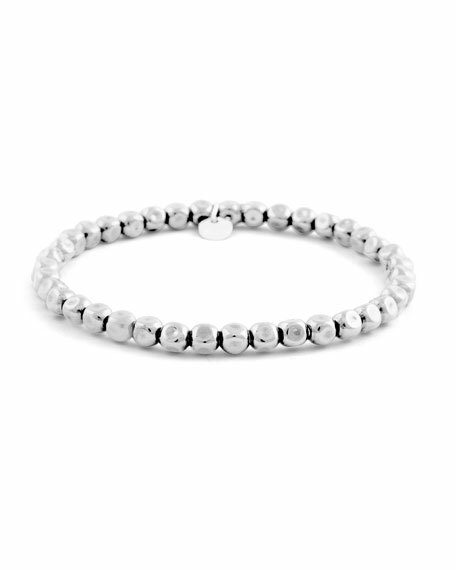 Tateossian disc round beaded men's bracelet. Polished sterling silver discs and hardware. Round impression jasper and turquoise. Approx. 6.8" circ.